The winner and runner-ups of World Mayor 2014 will be chosen based on the number of nominations in relation to the size of their cities and, more importantly, on the persuasiveness and conviction of testimonials received during this year's World Mayor Project. Below we publish a selection of comments received to date about WM nominee Jed Patrick Mabilog, Mayor of Iloilo City, Philippines. As I stroll along Efrain B. Treñas Boulevard, inhaling the early morning fresh air and be awed by the magical sunrise, I smile and tell myself: "This is what My Iloilo City deserves". The construction of Iloilo Riverside Esplanade thru the effort of our Mayor, Hon. Jed Patrick E. Mabilog, PhD, made it easier for Ilonggos to live a healthy lifestyle while enjoying the beauty of mother nature. Comment: I met Mayor Jed Mabilog first time about 11 years ago when he campaigned for Counselor in Iloilo City on my son's nursery's United Nations event. He was a very nice man and voted number one. He rose to fame and became probably not just the best public service official, for all the things he did for Iloilo City, but for staying humble as well. In this very corrupt world and times, a lot of politicians only work for their own financial gains. We cannot individually identify and expose them on a regular basis, but we always look for the things they have done for us. I have been living in the UK for the past 8 years, but I have seen Iloilo growing in strength and power. Skyscraper rising, increasing numbers of commercial properties, continuous investment of foreign capitalists who believes in Mayor Mabilog's passion and dedication to improve the lives of my fellow Ilonggos, thus creating more jobs and uplifting the standard of living. I am very proud of our mayor and we commend and support his projects. Every year, we celebrate Dinagyang festival, colourful, tribal street dancing competition that shows the rich culture and traditions of Ilonggos. Since he was in the position, it has been a very memorable and peaceful event. 7. Rehabilitation of the Iloilo River. 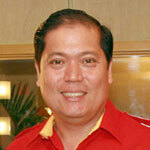 Comment: I vote Mayor Jed Patrick Mabilog for the reason that he leads by example. He instilled discipline among the employees to wear their proper attire or office uniform  including the ID and wearing of proper shoes. He leads by example because he himself wears the office attire appropriately especially the wearing of ID. Comment: Iloilo City, city of love, a developing city and soon to be a developed one. A time will come that our city will cease to become the best of best and all of these is because of our beloved mayor, Mayor Jed Patrick Mabilog. Why Mayor Jed Patrick Mabilog as World Mayor? There are thousands & millions of reasons why he should be one. First is that he has the capability and heart of a true and dedicated leader. He thinks of what he can offer to others under him and not what he can benefit from it. " Ä true leader is the one who sacrifices for the betterment of his people and his country". His vision is a clean and green Iloilo City. Not only this, he also dreams of having a crime-free society for the people to live comfortably and bear no harm to one another. Second reason is that he tends to know what his officials are doing and he himself offers what he can to them. He has the capability to unite, the people, the government and most importantly himself. He knows how to gather and build up his ideas to create one and a very major change in the world. Third is that he does all he can for the awareness for the people to know about the different social and economic issues everywhere. This is to help them in terms of different crises to help secure themselves. He knows how to exercise their right to proper information in order for them to also give what is right to the society. This brings me to my Fourth point. Security. He does what he can to keep his people safe. He develops a strong security force to guarantee a crime-free environment that the citizens of Iloilo City to live in. Comment: Our Mayor Patrick Jed Mabilog deserves to be the best mayor award. 1. He's a good public servant as I've seen all his hard works before I left last March 10, 2010 to London. That time he was a vice mayor. Comment: Why Mayor Jed deserves to be this year's World Mayor? He is a man of excellence. Mayor Jed bring a lot of opportunities to Ilonggo people. Employment rate increase, investors came to Iloilo, education program are given much attention and Ilonggo culture is showcased around the world. I see that his plans are not for his own political ambition or whatsoever but focus mainly on public service and development. Comment: I vote for Mayor Jed Patrick Mabilog of Iloilo City, Philippines for the prestigious World Mayor Prize 2014. I was born and raised in Iloilo City and studied there until 1986. I am now residing in Metro Manila for the past 27 years and it is only during the administration of Mayor Jed Mabilog that Iloilo City became the talk of the town. Under his dynamic leadership, Iloilo City was put to the world map because of the physical changes in terms of infrastructure, environmental preservation, people development (training and continuous education of government employees), beautification, business-friendly environment, wellness programs, campaign against drug proliferation, anti-smoking drive, housing projects and support for the marginalized sector and senior citizens, among others. One of the most prominent development in the City of Love are the business establishments around the new business district that is the former Iloilo airport. International hotel brands are slowly coming in, a new convention center is being constructed, new school buildings and residential condominiums are sprouting and BPO companies are expanding in that side of the city. There is no time in the history of Iloilo City where we see a lot of investments coming in. This shows that the trust of the business sector in the LGU is very high. The anti-drug use and abuse is gaining momentum with a lot of arrests and apprehensions. Mayor Jed envisions Iloilo City to be a drug-free City during his term and beyond. The anti-smoking campaign is also taken seriously by the people including tourists. Iloilo City is living to its vision of making it smoke-free and healthy place to live and work in. With all these things happening, one good news is that Iloilo City has been chosen to be one City outside Metro Manila where two (2) Ministerial meetings of the Asia Pacific Economic Cooperation (APEC) Summit will be held in 2015. Comment: When I was in High School, I had joined the Rotary Club Boys and Girls Week wherein I was chosen to be 1st Councilor. The position at that time was held by none other than Jed Patrick Mabilog himself. In his office hung a painting of a street kid being left out by other kids. I remember clearly he asked me what I saw in that painting and I said a child that was left out. He said something like that's how I feel about public service. That no one, from any class, income level, educational background, should be left out of being part of the benefits of progress of change. That image, that train of thought also became my inspiration as I grew in the path of leadership, student leadership and self leadership. That public service should be about serving the public. This is the inspiration that Sir Jed has instilled upon me and a lot of other young student leaders. He has been an advocate of youth empowerment and I remember he would never refuse the invitation to inspire young minds every time I invited him for student related events. When Jed became Mayor of Iloilo City, change, progress happened bit by bit, just like a car slowly building speed to reach faster speeds. And here now we can see improvements in the infrastructure and economic landscape of the city happening at an amazing pace. Iloilo is the place to be! Comment: I am head of the City Planning and Development Office of Iloilo City in the Philippines. I write to nominate Mayor Jed Patrick Mabilog of Iloilo City, Philippines as World Mayor 2014. With my 33 years of work experience under the varied leadership styles of seven mayors of Iloilo City, I can say with certainty that Mayor Mabilog is a worthy awardee and that the rest of the world's city mayors can emulate and learn from this human resource-oriented leader who treats his constituents as work partners for a well-defined and shared city vision. People love him for his cradle-to-grave service package, for the improved business climate and for the network of urban green spaces that have also helped reshape the city. His hands-on leadership and well-communicated vision are what caused Iloilo City's famous urban transformation into one of the country's current model cities in just four short years. The unprecedented fast change was a result of his highly-focused management of urban issues not only within the political boundaries of his city but also well into the public realms of six immediate neighboring municipalities and one province which he also oversees as Chairperson of an inter-local government unit (LGU) alliance called the Metro Iloilo-Guimaras Economic Development Council. His careful management in identifying and building consensus on solutions to cross-cutting issues in environment management, economic development, infrastructure development, service delivery and disaster risk reduction and climate change adaptation is what propelled the city from mediocrity in 2010 to great significance as the 2nd most competitive city in the Philippines today. Comment: I am an American retired and living in the Philippines. I have lived in the Philippines for over 10 years now. My observation is genuine and open minded. I first visited Iloilo City 8 years ago and all I could say was it was crowded, dirty and cluttered. Roads were a mess, traffic was awful and it appeared little was being done to alleviate the situation. However, that said, I have seen a drastic improvement over the last few years that I never expected a city could do given the population and the way things are done throughout the Philippines. I am so impressed with what has transpired over the past few years in Iloilo City, so much so that I uprooted where I was living and have moved to Iloilo, even against peoples advice. What I have discovered is that the city is in a transforming stage, a massive upgrading of infrastructure alone with new buildings, homes and one of my favorites are the amount of very good restaurants that serve consistently good meals. The city is awash in pride and you can see it reflected in how people businesses and government run buildings are being maintained and upgraded. I know it takes all the people and businesses to accomplish this but it also takes a highly skilled motivator to get everything going and coordinated. For these reasons I think Mayor Jed deserves Mayor of the Year award for without him I doubt this could have been accomplished. Comment: I vouch my credibility and honesty to support my fellow Ilonggo, Mayor Jed Patrick Mabilog for his sincere dedication to uplift and develop our City...Iloilo City, the City of Love... It has been so many years that our City was left aside, though way back before, Iloilo City was very abundant of cultural heritage and with great infrastructure, but as the years goes by there was no leader who stood up and continue the vision that we Ilonggos wanted for our City. in Public Governance from West Visayas State University. 2. He provides free 2 years Technical-Vocational Education at Technical Institute of Iloilo City-Molo and 3 months short at TIIC- Bo. Obrero. 3.He supported the Alternative Learning System ( ASL) Program for out-of-school youth and adults. 4. He ordered for the streamlining of business permits application processing for new and renewed businesses. Comment: For me, the best Mayor is Hon. Jed Patrick E. Mabilog of Iloilo City , Philippines. He fast tracked the development of Iloilo City in less than 4 years in almost all aspects . Not contenting himself only on structures , he inspired and challenged advocacies to go strong . I am talking specifically on the Tobacco control/ antismoking advocacy , usually avoided by Chief executives of highly urbanized cities because of its difficulty and perception that it is a political suicide. The good Mayor actively challenged Iloilo City Antismoking Task Force and all sectors of the Goverment and society to look deeper in the implication of a society steeped in cigarette smoking and its consequences. Such concerns as smoking avoidance, smokefree places and goverment buildings, No to inducing children to smoke and , no to Tobacco company overtures and promotions and sponsorships were supported strongly by this non smoking Mayor. Such initiatives and moves garnered for Iloilo City 3 Red Orchid Awrds for the Search for 100% smokefree Environments of the Deaprtment of HEALTH AND world health Organization(WHO). Comment: I would like to commend Mayor Jed Mabilog for the transformation of the City of Iloilo to what it is now. Im 58 years old now and since early child no City leader has ever done the kind of positive change that he has done for the city in a very short span of time. Im so glad that we have leaders like him who initiated so much change. 1. The city is very clean and you dont see people littering around and seldom you see a cleaner. 2. ILOILO river which is dying is now tranformed and its almost and impossible task of relocstimg squatters. 3. Downtown Iloilo which almost bacame a ghost town is now a very good heritage site. Same with the other landmarks thats being restored. 4. City is well develop and opportunities for employment and business abound with very small bureaucracy. 5. Old plazas and open parks are now well developed. 6. You could roam around the city and be safe with very good Peace and order . Comment: I am 36 years old, a resident of Iloilo City, Philippines for 36 years too. I have not experienced the best governance in our city for my entire life until Mayor Jed Mabilog took his seat. I told my self, so it is also possible to make Iloilo the Premiere City, why it did not happen before? Why it only happen now im already 36 years old. If Mayor Jed Mabilog put up tall commercial buildings by attractting top companies to invest, best airports in our counntry, high class residential buildings, attractive landscapes, widen the highways and make it also avaibale for bikers, reviving our river which admired not only the locals but internationally and many many more. Why do the previous mayors did not?